The 2015 Moto 360 is a stunner, even on small wrists, but is showing its age after two years. Update: We’ve re-examined the Moto 360 in the wake of Android Wear 2.0 coming out and new competition, including the ZTE Quartz watch. We’ve also added a section about the fitness-oriented version of the Moto 360, the Moto 360 Sport. When Google introduced Android Wear, it wasn’t the LG G Watch or the Samsung Gear Live that caught everyone’s attention: It was the Moto 360. Its round screen was revolutionary in 2014, and it was gorgeous. 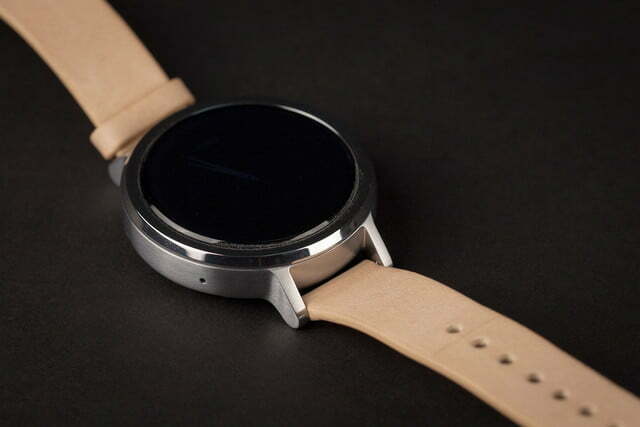 Motorola took that same iconic design and improved it with the 2015 Moto 360. It still doesn’t have a perfectly round screen, but it does deliver more fully on the potential of the first-generation Moto 360. 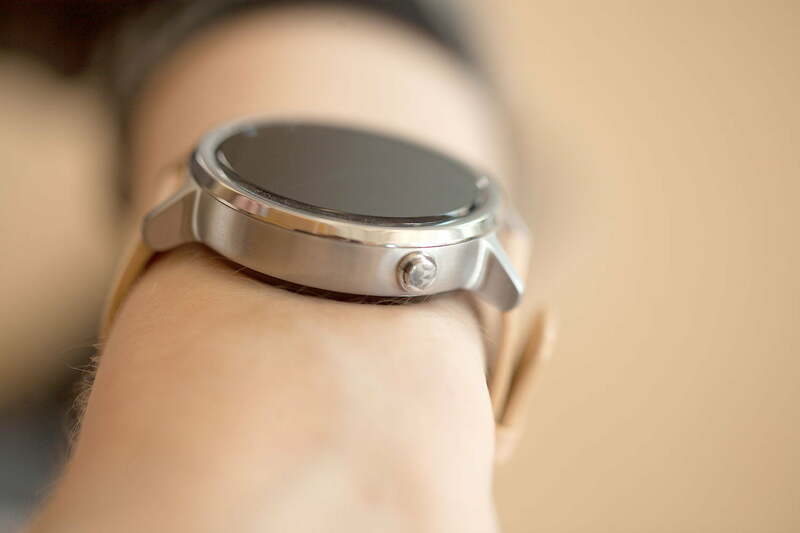 The Moto 360 2015 was one of the best Android Wear watches around two years ago, and one of the first to cater to both men and women with gender-specific design features. But a lot has changed, and competition is fiercer than ever. There’s the Huawei Watch 2, for example, which boasts incredible battery life, and the ZTE Quartz — one of the most affordable Android Wear watches yet. 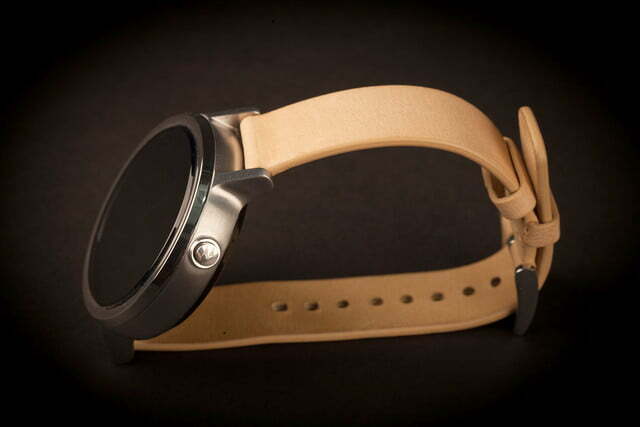 The Moto 360 2015 isn’t as obvious a pick as it once was. Still, its gorgeous design keeps it competitive — albeit only barely. 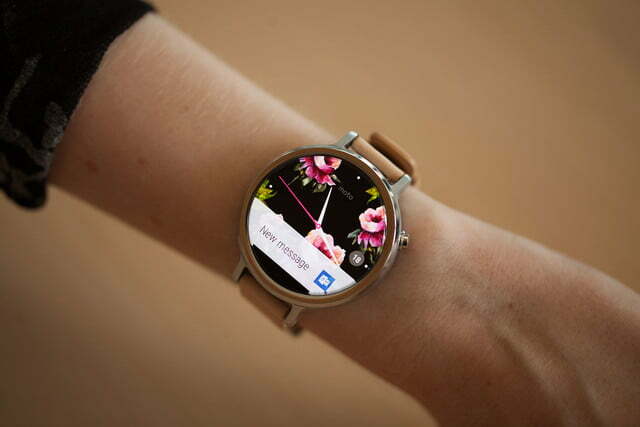 As a woman and someone with a smaller wrist, I’ve been strapping on Android Wear smartwatches since they first came out, and each and every time I’ve been let down by such-and-such’s concept of “unisex” and “female friendly.” While the 42mm Moto 360 is still the size of a large Apple Watch, the way the lugs are angled allows it to fit on smaller wrists like mine. The circular shape of the watch face somewhat disguises the size, so even though it is the same measurement as the larger Apple Watch, it doesn’t look as massive. And when you compare it to the 46mm men’s version, it looks downright delicate. Although you may not be able to tell from the photos, the 42mm design actually does fit my ridiculously small wrists and it looks gorgeous. It’s the first Android Wear smartwatch that I’ve ever enjoyed wearing and the only one I’ve ever been complemented on. 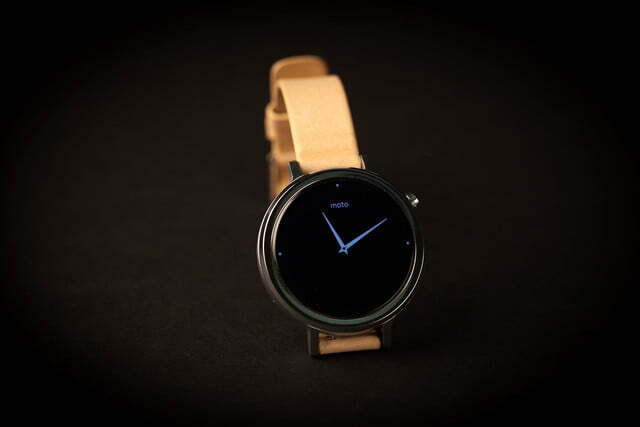 You see, from a distance when you just glance at it, the Moto 360 looks like a normal watch. Both male and female friends said they liked the way it looked on me better than the 38mm Apple Watch. The Moto 360 is the first Android Wear smartwatch we can safely recommend to women, and it’s the first smartwatch that’s made me consider dumping the Apple Watch. 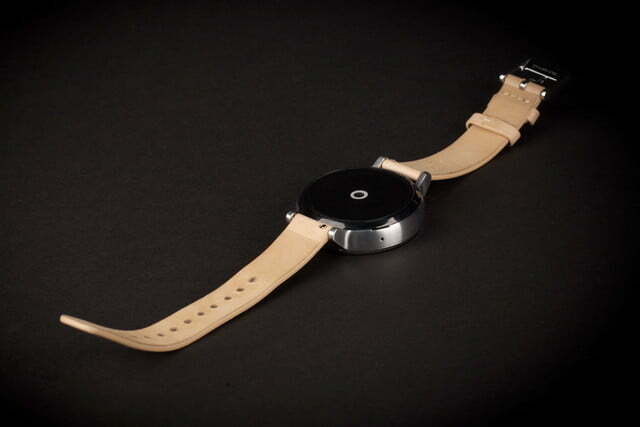 Is the 42mm Moto 360 the perfect size? No. 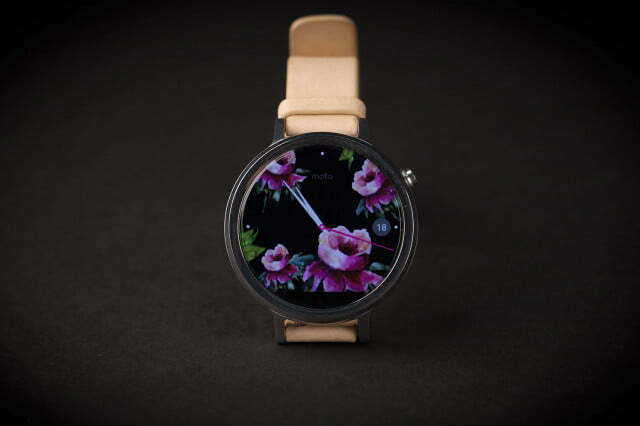 But its classic, thoughtful design makes it one of the best Android Wear watch options for women yet. The Moto 360’s 42mm casing fits much more naturally on the wrist than the Huawei Watch 2 Classic, it’s closest cousin in terms of size. It’s also a lot more compact than competitors like the ZTE Quartz and LG Watch Sport, which both exceed 44mm in diameter. 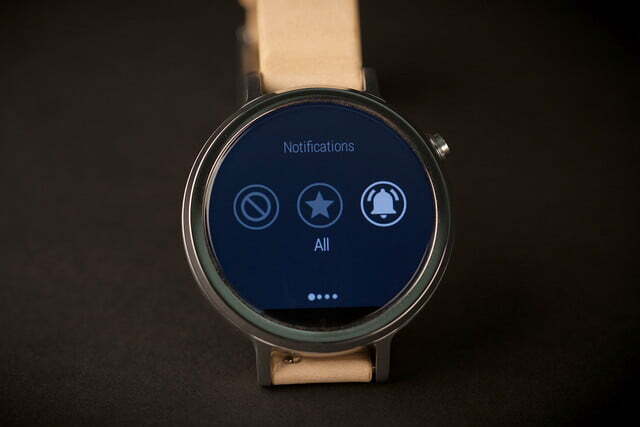 The edges around the Moto 360’s screen are thinner, too, and the profile’s more slender. 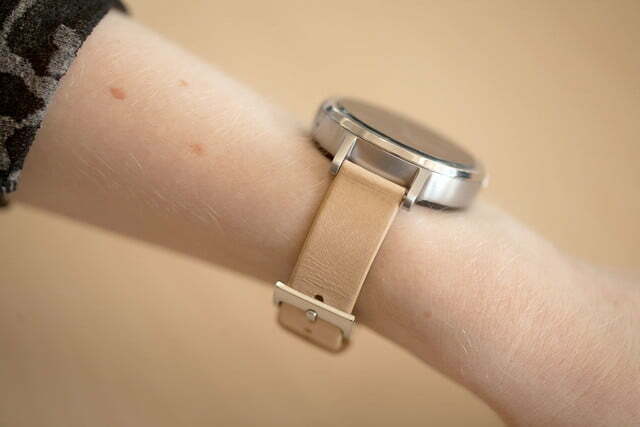 We also appreciate the angling of the lugs, which don’t wing over slim wrists like the ZTE Quartz. 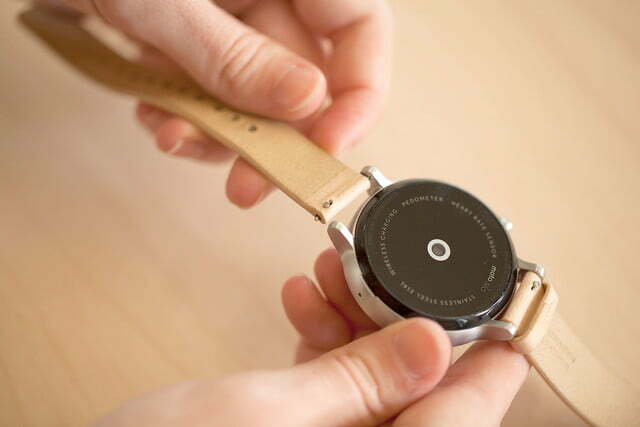 That’s not to say the Moto 360 isn’t thick — up close, you won’t mistake it for a mechanical watch anytime soon. But that’s a problem smartwatches in general have yet to conquer. The Moto 360 is the first Android Wear watch we can safely recommend to women. One of the best things about the new Moto 360 at launch was Moto Maker, a design tool that let you tailor the smartwatch to your specifications. You could choose the metal finish on the casing and the bezel, and texture of the watches edges, and the kind of band you wanted. Unfortunately, Motorola’s done away with the Moto Maker option for the Moto 360 — if you want a new watch, you’re restricted to pre-configured models. 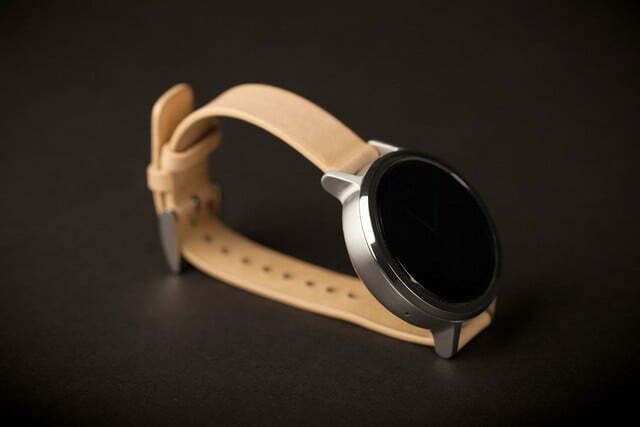 Still, the Moto 360 is somewhat customizeable. The bands for the 42mm Moto 360 fit the 16mm standard, so you can buy your own online and they’ll fit. You get a choice between a couple of different textures around the screen edges, so the metal isn’t too flashy. The textures are really subtle and classic, as are the color options of silver, gold, and rose gold. 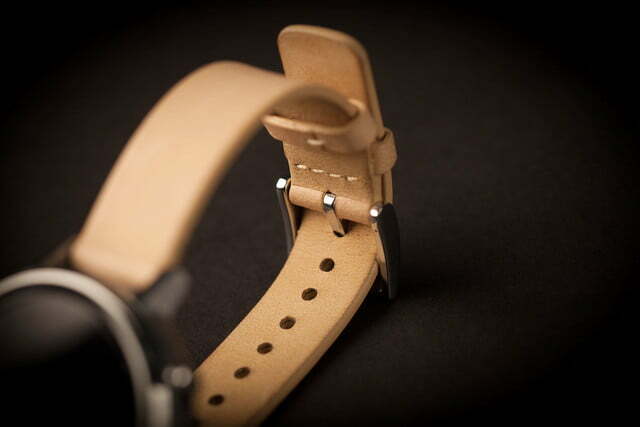 The watch faces are just as changeable as the watchbands. 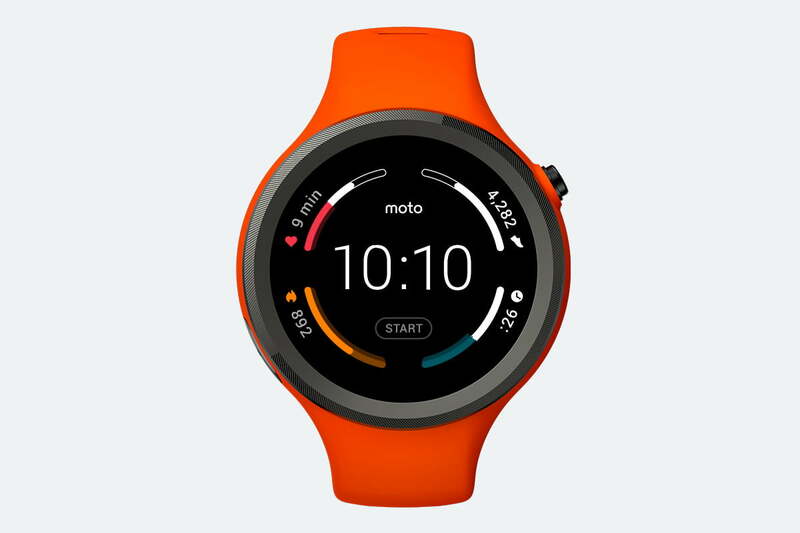 Many of the designs that ship with the Moto 360 allow you to alter the color palette if you don’t like the default combination, or tweak design elements. One of the coolest is a flower that was hand-painted by a member of the Women’s Collection design team. You can choose between a variety of different flower species, including roses, irises, poppies, lilies, and more. The first Moto 360 suffered from lag and poor battery life, but the new one doesn’t have those problems. It’s powered by a 1.2GHz Qualcomm Snapdragon 400 processor, 512MB of RAM, and 4GB of internal storage, which is was pretty much par for the course for Android Wear smartwatches back in 2015. The Moto 360’s internals have since been surpassed by smartwatches like the Huawei Watch 2 and LG Watch Sport, which have Qualcomm’s newer Wear 2100 chip and 768MB of RAM. But beyond slightly more responsive menus and reduced loading times, the differences between them are tough to spot. The 42mm women’s Moto 360 has a 1.37-inch screen with a 360 x 325 pixel resolution, while the men’s 46mm version has a 1.56-inch screen with a 360 x 330 pixel resolution. The two models also differ in terms of battery size, with a 300mAh battery inside the 42mm model, which really only lasts through one day. Just like the Apple Watch, by 11 p.m., you’ll need to pop it on the charger. The 400mAh battery inside the 46mm model is rated for two days of use, but we can’t say whether that’s accurate, because we only tested the 42mm version. Both charge with a wireless charger and connect to your phone via Bluetooth. 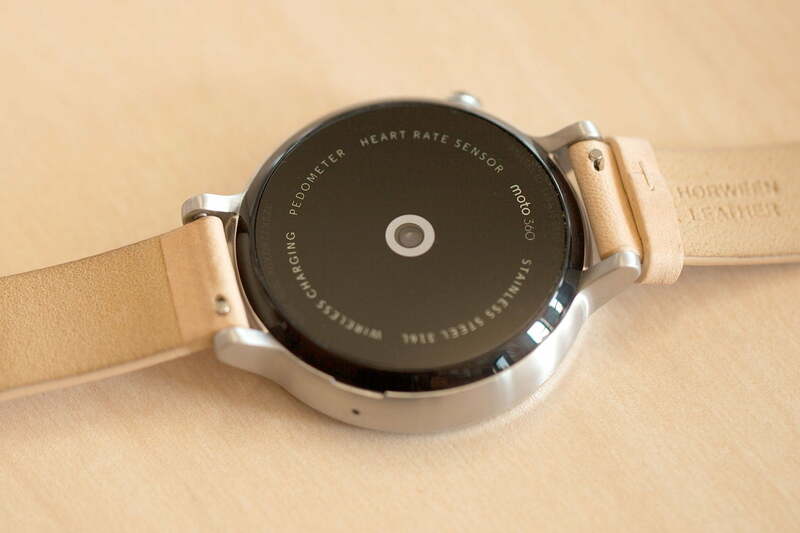 Smartwatch battery life hasn’t drastically improved since the Moto 360’s launch. 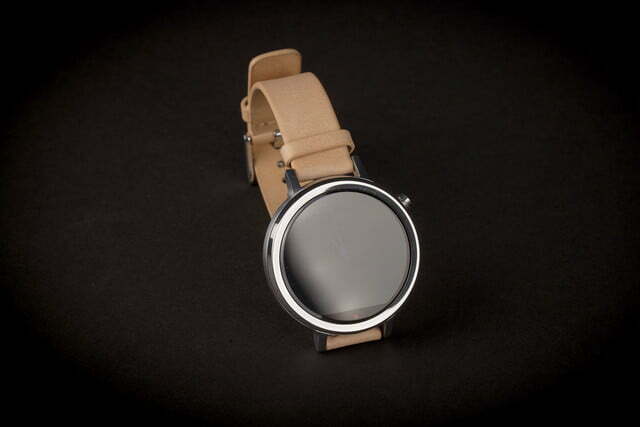 In fact, the Moto 360’s battery life is comparable to newer Android Wear smartwatches such as the Hauwei Watch 2, which packs a 420mAh battery and lasts about a day and a half, and the LG Watch Sport, which has a 430mAh battery that averages about a day. Beyond exceptions like the ZTE Quartz, which packs a whopping 500mAh battery that lasts a day and a half, the Moto 360 doesn’t perform any worse — or better — than the competition. 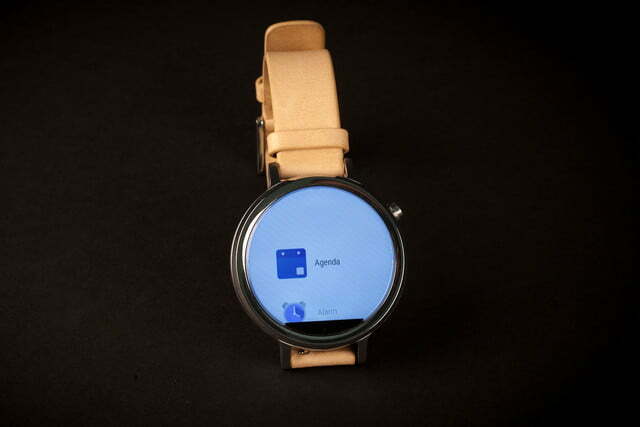 The Moto 360’s screen, on the other hand, isn’t as competitive as it used to be. The Huawei Watch 2’s 1.2-inch screen has a resolution of 390 x 390 pixels, and the LG Watch Sport’s 1.38-inch screen sport has 480 x 480 pixels. And both are OLED compared to the Moto 360’s LCD, which means they’re generally brighter, more vibrant, and more power-efficient. It’s worth noting that Android Wear smartwatches like the Moto 360 now work with iOS device like the iPhone — you’ll get notifications just like you would on your phone (more on that later). 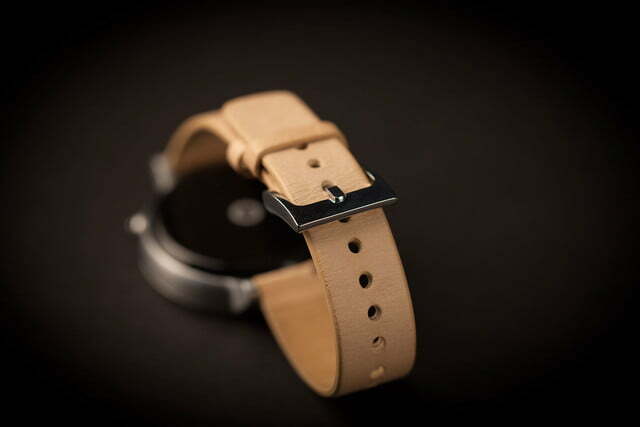 The new Moto 360 packs sensors including an accelerometer, ambient light sensor, gyroscope, and heart rate monitor. The heart rate monitor syncs up with the new Moto Body app, which gives words of encouragement and coaching throughout the day to help you reach your fitness goals. It’s similar to the Apple Watch’s little alerts, which we’ve always found motivating. 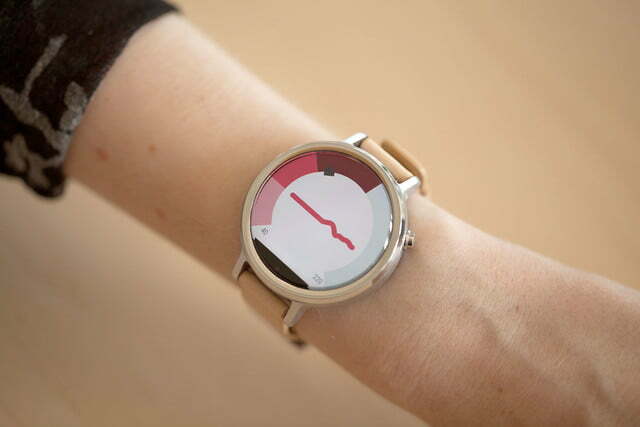 We like it much better than the standard Android Wear fitness app. Finally, thanks to a coating on the aircraft-grade 316L stainless steel casing of the Moto 360, the Moto 360 offers IP67 water resistance, so it’s be safe from small splashes. Motorola still cautions against swimming with it on, though. 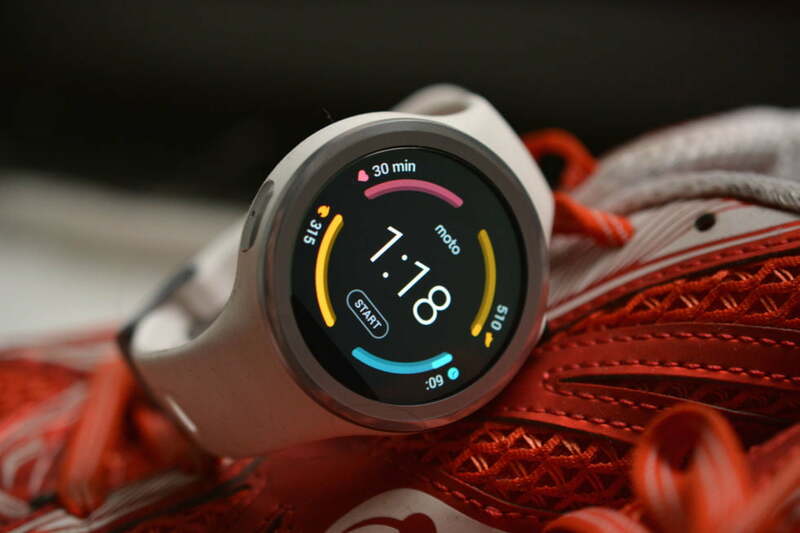 There’s another variant of the Moto 360, and it focuseson fitness: The Moto 360 Sport. Unlike the Moto 360 model, the 45mm Moto 360 Sport ships with a sweatproof silicon watchband and a 300mAh battery that lasts “a full day. 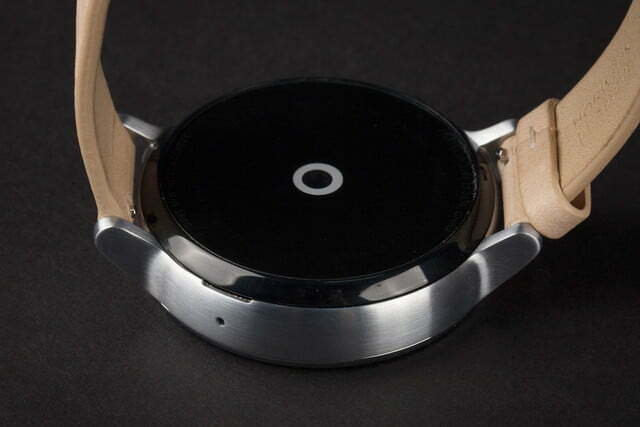 In terms of internals, the it’s pretty much identical to the other Moto 360 models. The Moto 360 Sport packs the same same 360 x 325-pixel screen as the women’s Moto 360, and the same 1.2GHz Qualcomm Snapdragon 400 processor, the same 512GB of RAM and 4GB of internal storage, and even the same accelerometer, ambient light, heart rate, and barometric pressure sensors. Basically, the Moto 360 Sport’s meant for more “active” scenerios than the classic models. If you’re looking for a Moto 360 that’ll survive a jog or run relatively unscathed, it’s probably the one you want. Let’s get this out of the way: we’ve never been fond of Android Wear. All the swiping, the weird process for onboarding apps, the endlessly scrolling app menu, and the awkward appearance of notifications and “OK Google” marring my watch face – It all annoys us. We much prefer the app screen of the Apple Watch and its pull-down method of storing of notifications. 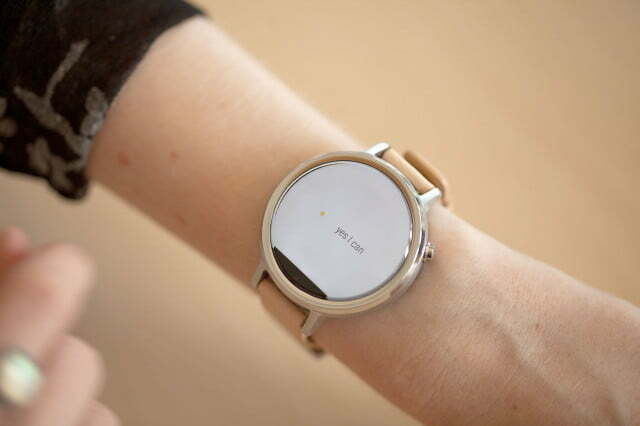 Android Wear needs some serious help. Android Wear 2.0 is an improvement, but the Moto 360, which launched with an older version of Android Wear, has yet to get it. That means it misses out on Android Wear 2.0’s streamlined interface, its widgets on the watch face, its stand-alone Google Play Store, and Google’s AI-powered Google Assistant. It also lacks Android Pay, Google’s tap-to-pay payments platform and an improved Google Fit app that automatically detects workouts. Google and Motorola’s parent company, Lenovo, have both promised to update the Moto 360 to Android Wear 2.0 sometime this year. But so far, the update hasn’t come. 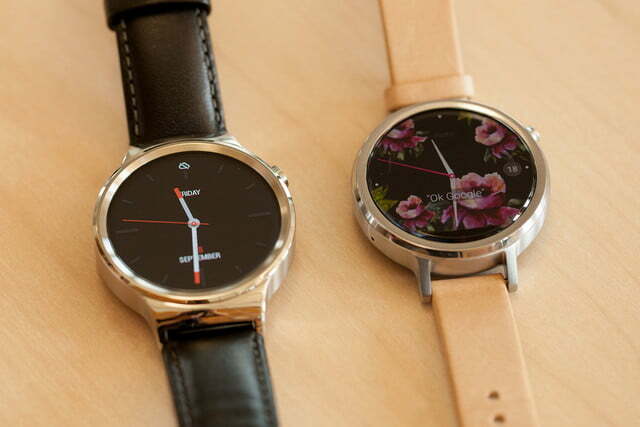 If you like Android Wear and you’re not into chunky watches, you’ll love the new Moto 360. Having said that, the Moto 360’s older Android Wear isn’t all that bad. We went all in with Motorola for a few weeks using the new Moto X and Moto 360 together, and the experience was as good as it gets for first-generation Android Wear devices. It’s OS is fantastic with Android phones, and works pretty much just as well with iPhones. A few iOS restrictions prevent Android Wear from integrating tightly with iPhones, so you won’t be able to do everything with your Android Wear watch that you can do if you’ve got an Android phone. 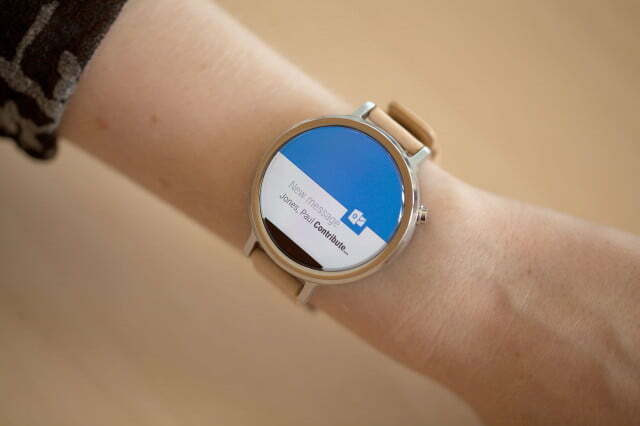 And the list of apps that work with iOS and Android Wear is also still pretty limited. However, you can receive notifications from any app on your iPhone, which is great — you just can’t interact with most of them. Android Wear 2.0 offers a much better experience with iOS — thanks mostly to the Google Play Store, which lets you search, download, and install apps independent of a smartphone. 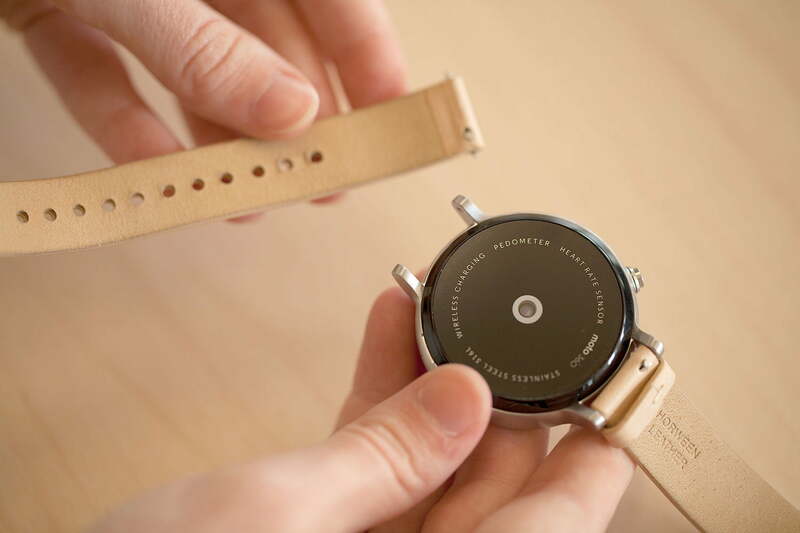 It’s not every day we see a smartwatch we actually like. In fact, there are only two smartwatches that really work for people with smaller wrists. 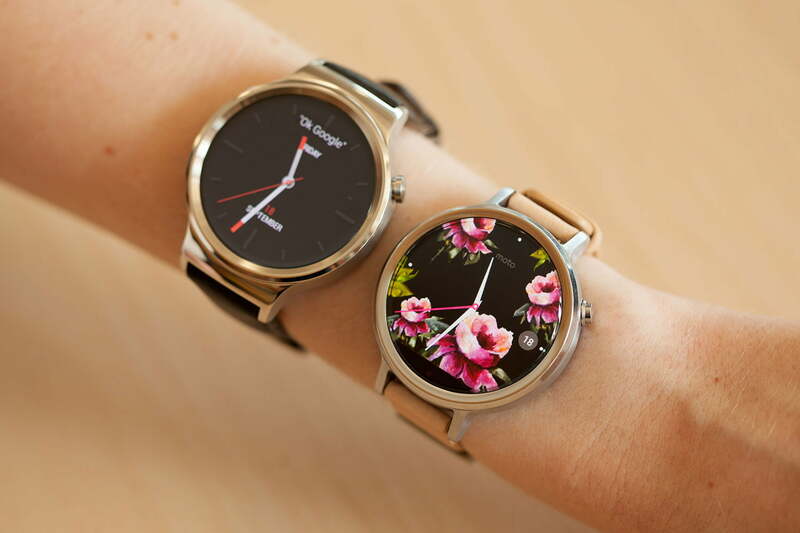 The new 42mm women’s Moto 360 is one; the 38mm Apple Watch is the other. Of the two, the Moto 360 is prettier, but the Apple Watch is simpler and easier to use. 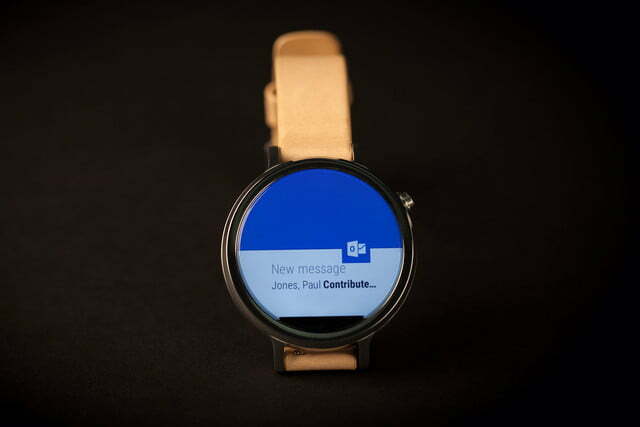 If you like Android Wear and you’re not into chunky watches, you’ll love the new Moto 360. It’s just the right size, and the new lugs are slimmer and more attractive than any you’ll find on the LG Watch Sport, Huawei Watch 2, or ZTE Quartz. No. The Moto 360 was a great smartwatch in its time, but it’s since been outclassed by the competition. The processor is beginning to show its age, and the screen doesn’t compare very favorably with the LG Watch Sport and the Huawei Watch 2’s panels. The Moto 360 still has an attractive design, but it’s not enough to warrant a recommendation over newer Android Wear devices. It’s hard to believe the Moto 360 launched in 2015. It’s stood the test of time relatively well so far, and an update to the latest version of Android — Android 2.0 — should help. Unfortunately, despite repeated assurances from Google and Lenovo that the update is forthcoming, we’ve yet to see it. Then there’s the fact that the Moto 360’s hardware isn’t as competitive as it once was — and that Motorola’s stopped selling it directly. 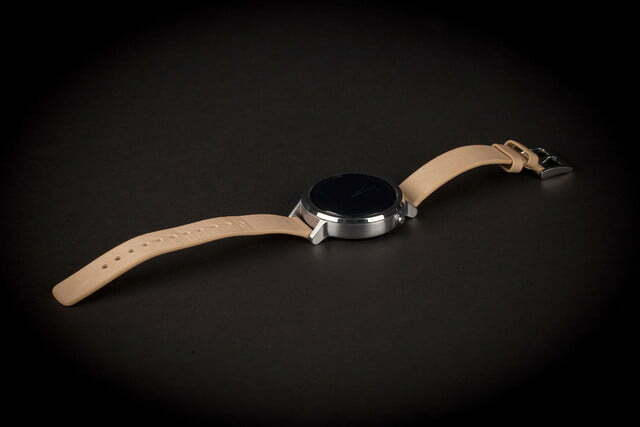 Considering all that, we don’t expect the Moto 360 to last much more than a year from now. No. In the end, smartwatch choices come down to looks, since most of them have the same insides and even the same OS onboard. In our eyes, the 2015 Moto 360 is still one of the best-looking Android Wear watch yet. However, the Moto 360 came out in 2015. It doesn’t have the newest, much improved version of Android Wear (yet), and its hardware is beginning to show age. That’s why we recommend considering one of the many, many alternatives. If you have a smaller wrist, you don’t have a lot of other options, unfortunately. Review originally published Oct. 2, 2015.